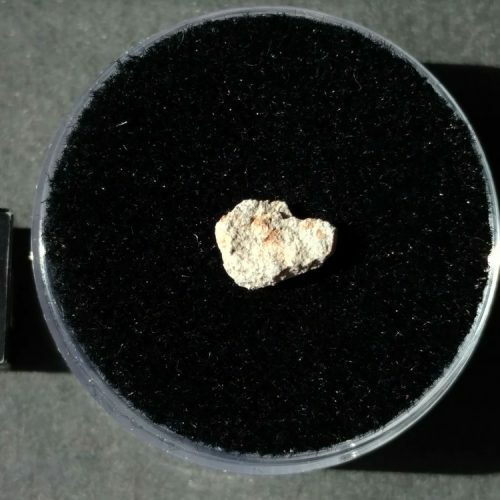 .843 gram meteorite part slice with crust. 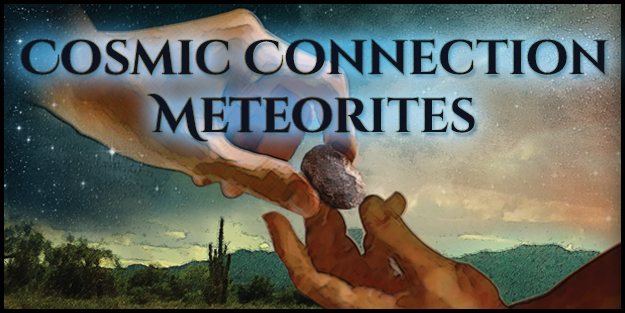 This is a low TKW witnessed meteorite fall from Arizona! 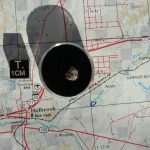 Go to my Indian Butte Meteorite page to read more and see pictures from the hunts! 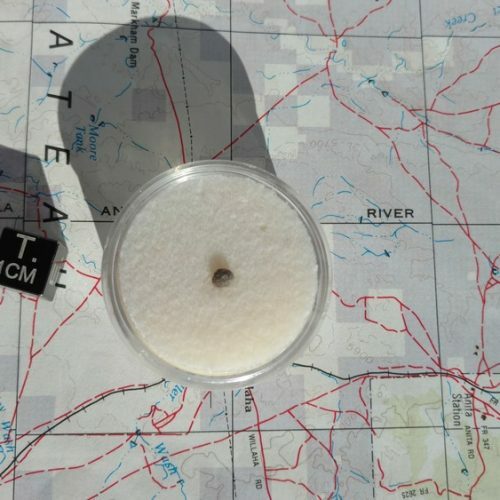 History: The following lines of evidence support a connection between the Indian Butte stones and the “Casa Grande” fireball of 7 June 1998: 1) The discovery location is consistent with the triangulated endpoint based on fireball reports; 2) The location is directly under a Doppler radar return; 3) The stones are fresh (weathering grade W0 to 1). 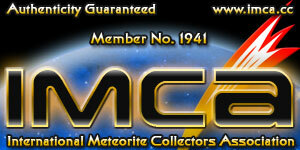 Doppler radar was first used in 2009 to locate the Ash Creek meteorite fall. The Indian Butte radar signal was recently identified during a search of historic falls. Some stones have been marketed under the synonym “Stanfield”. 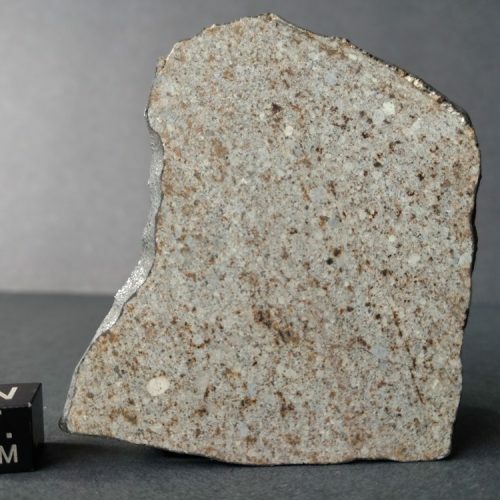 A 128 gram stone was discovered by Robert Reisener, Sonny Clary, and Fredric Stephan while investigating a doppler radar signal corresponding to the “Casa Grande” fireball of 7 June 1998. At least 30 other stones were subsequently found. The Doppler signature was identified by Marc Fries and Robert Matson using fireball witness reports collected by Robert Ward. 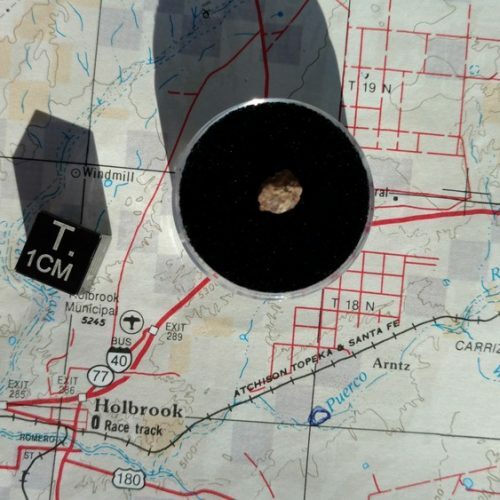 The location of discovery is near the area searched by David Kring and others immediately after the fireball. Physical characteristics: At least 30 fusion-crusted stones have been recovered, with a total mass of 1721 grams. The fusion crust is fresh, although many stones display slight oxidation on the bottom where they lay on the desert surface. 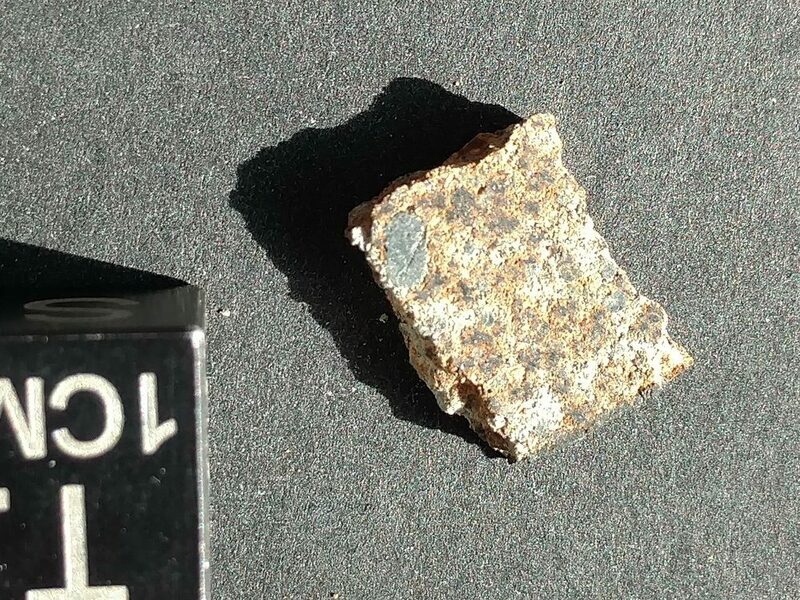 The interior metal is free of limonite rinds, indicative of weathering grade W0. 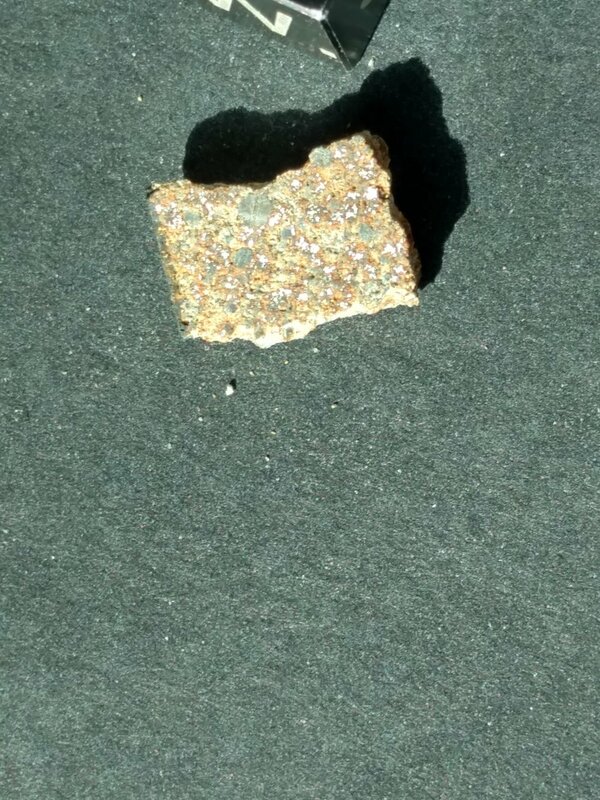 Petrography: (A.Rubin, UCLA) The chondrite is moderately recrystallized. Polysynthetically twinned low-Ca pyroxene is absent. A few small grains of diopside have grown large enough to be analyzed with the electron microprobe. Plagioclase has also grown fairly coarse; grains up to 25 µm across are present. Geochemistry: Olivine, Fa17.9±0.3; pyroxene, Fs16.0±0.2Wo1.5±0.2. Mineralogical equilibrium has occurred. Classification: Ordinary chondrite (H5). Shock stage = S1 and weathering grade = W0. Specimens: Most stones are privately held; 22.2 grams have been deposited at UCLA.